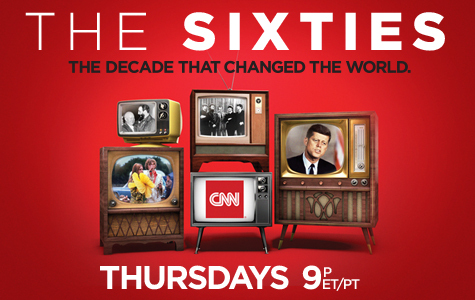 According to Nielsen Fast National data, CNN’s Original Series THE SIXTIES debuted last night as the No. 1 program on cable news at both 9:00 pm and 10:00 pm. At 9:00 pm, the episode, “Television Comes of Age,” averaged 284k in the key demo 25-54, Fox News followed with 273k and MSNBC posted 115k. In total viewers CNN had 1.390m topping MSNBC’s The Rachel Maddow Show’s 723k. Fox News had 1.919m. This represents a +190% increase in the demo 25-54 (284k vs. 98k) and a +312% increase in total viewers (1.390m vs. 337k) as compared to prior four-week average. The encore presentation at 10:00 pm, averaged 243k in the demo, Fox News followed with 239k and MSNBC trailed with 104k. Among total viewers CNN averaged 946k topping MSNBC’s 532k. Fox News registered 1.428m. Executive produced by multiple Emmy® award-winning producers Tom Hanks and Gary Goetzman (HBO’s John Adams and The Pacific) of Playtone, and Emmy® award-winning producer Mark Herzog (History’s Gettysburg) of Herzog & Co. (HCO), THE SIXTIES explores the landmark era of the cultural, political, and technological change during the 1960s in a provocative and compelling 10-part CNN Original Series airing Thursdays at 9pmET and PT.